I don't usually like to go out of order on our blog posts, especially when we've had some really amazing experiences since we last posted that I want to share and document. I promise I will get to all that. But for right now, I am going to jump ahead here into real time, because we have some big news. I'll save you from a long drawn out narrative, here's the bottom line: We're coming off the road. We're selling Scoopy. We're moving to Europe. We're buying a little new-to-us motorhome. Then we're traveling around. For three years or so. Big, right? It certainly feels big to us! Well, interesting story. Friends and regular readers might remember that we went to Europe for a month in January 2017, mostly to visit Steven's family near Dublin and also to visit London and Paris. It was during this trip that we began to discuss the possibility of returning to Ireland for an extended stay. After more than 30 years away, Steven longs to be closer to his parents, his siblings, his best friend, Kieran. His Irish roots. It's really expensive to visit, even more so for both of us to go. So we started the conversation, what if . . .? Then, while we were in Paris, literally standing on the top of the Arc de Triomphe at the west end of the Champs-Élysées, we saw a little motorhome making its way around the traffic circle and we pointed, mouths agape, and said, "OMG! Lookie there!" The rest is history, sort of. Somewhere down there on the Champs-Élysées is a motorhome that changed everything! We returned to the states excited to get going on our new plans. But, in reality, we discovered that the logistics of moving to Europe and buying a motorhome are not easy. It takes a lot of time, research, effort, patience and, let's face it, money. 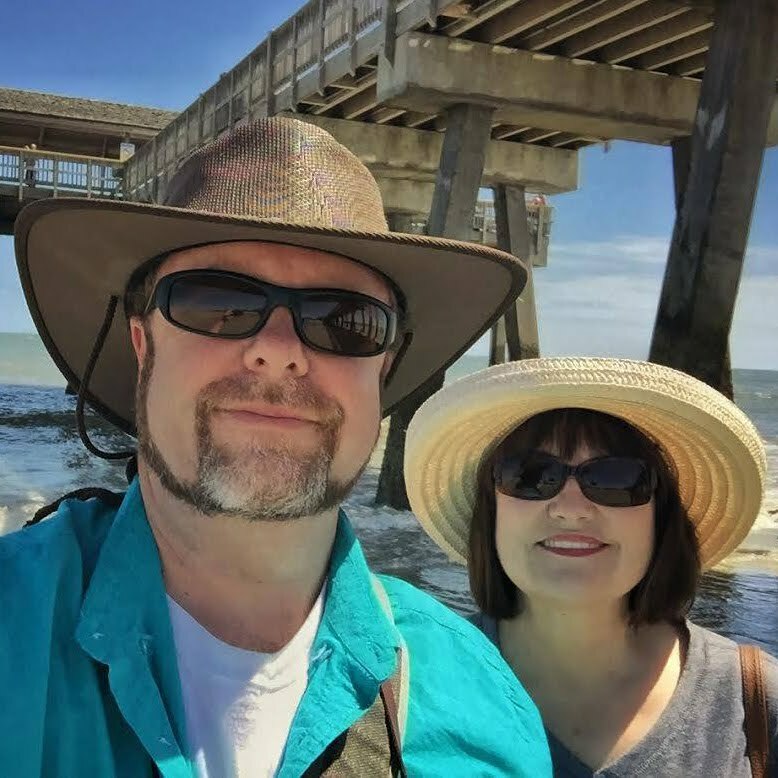 At the time, we were happily traveling on the east coast, enjoying our time visiting a ton of beautiful places and adding new states to our travel map. Before long, research and planning a move to Europe went by the wayside. Then it went by the waaaaaaayside, around the corner and miles into the recesses of our brains. And then came Wheeling It. In January 2018, fulltime RVers and popular travel blogger Nina Fussing and her husband Paul, aka Wheeling It, announced they were moving to France. Their plan was to settle there for a few months before purchasing a motorhome and resuming their travels. Once they made the decision, Nina went into overdrive researching their move, and she generously shared that information on her blog. Essentially, she did a lot of the heavy lifting and deep digging, finding answers and solutions. So we thought, well, it would be rude not to put all that information to good use, right? Our move to Europe came off the back burner to the front and center flame. It became all-consuming. Right now we're in Boise, ID. Scoopy is at Cummins getting her final service. We'll travel to Eugene for chassis service and a couple of things that need fixing on the interior. We want Scoopy to be as perfect as possible for the next owners. (So if you happen to know anyone looking for a great rig, let us know!) Following that, we'll make our way to Portland and spend a month there getting Scoopy ready to sell. That's the hard part, because, once again, we will begin paring down our stuff. Other than a couple of boxes we'll ship to the ranch in Texas, everything we own will have to fit in our teeny little Toadie Hopper! We have reservations at Lake Pleasant RV Park in Bothell, just north of Seattle, starting in mid-November. We plan to spend about five weeks there, including Thanksgiving and Christmas with our kids. By December 27, we hope Scoopy is sold, because that's our departure date from Lake Pleasant. It's gonna be a dance, for sure, finding a buyer who will let us continue living in her until then. But if we don't, or we need to move out early, we have plans B, C and possibly D, if needed. After the holidays we'll make our way to the ranch in Toadie. 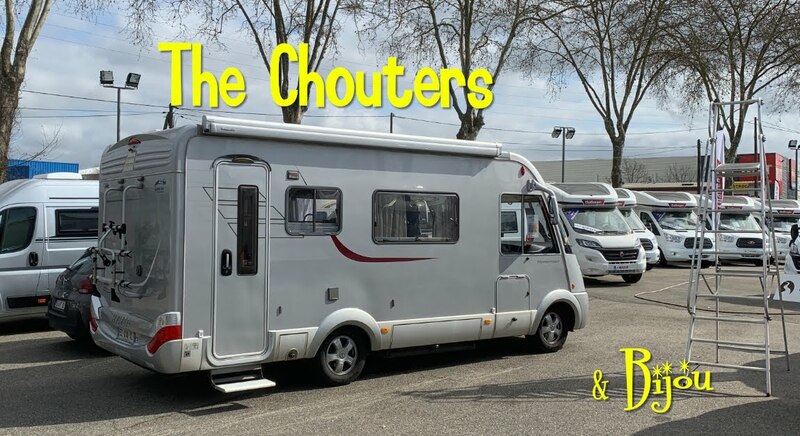 We already have our passports and our International Driving Permits but we don't yet have an arrival destination, because we have our eye on a motorhome in the UK. If that one doesn't work out, we have a Plan B (of course) which would likely put us in France. There are lots of things still up in the air and frankly they might still be up there the day we leave. Why not live on the edge, right? It's all part of the adventure. These bad boys will allow us to drive anything from 2 to 18 wheels just about anywhere in the world! Regardless of how all that works out, in early April, we will travel to St. Jean Pied du Port at the foothills of the Pyrenees Mountains in France to finalize preparations for our hike on the Camino de Santiago. Depending on the weather, around April 15 or so we will begin the 500 plus-mile pilgrimage that will take us across northern Spain and into the month of June. Then finally, we'll head to Ireland. It will have been a long journey home but we'll finally be there. And at least for a little while, we'll stop and catch our breath before we start planning our next destinations. Morocco? Greece? Turkey? Norway? Yes, please! NEXT UP: Back to our regularly scheduled travel program!